A peaceful resistance movement against the Communist regime in Lithuania began to take shape in the early 1960s and came into conflict with the existing regime. Russian dissidents and the Russian human rights movement strongly influenced the Lithuanian resistance movement beginning in the mid 1960s. 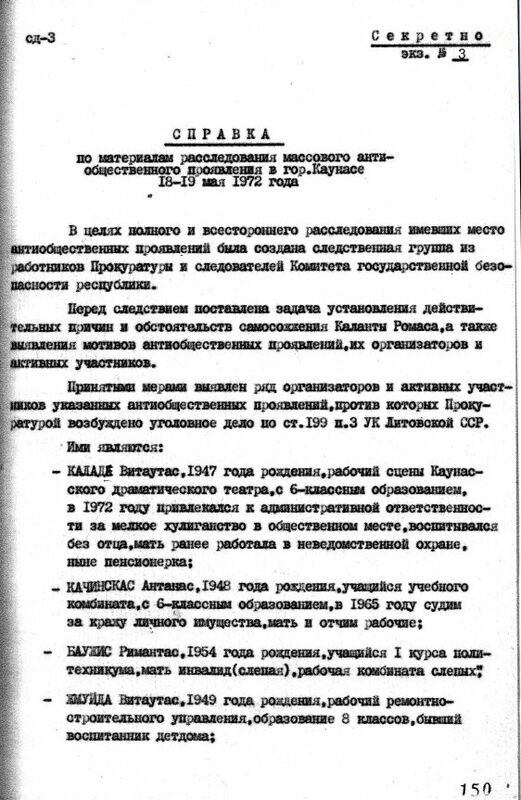 A link was formed between the Russian dissidents and several Lithuanian representatives who were unhappy with the existing system. Beginning in the early 1960s illegal youth organizations were established in Lithuania. The organized resistance of the youth was sometimes manifested by individual protests that grew into mass protests. 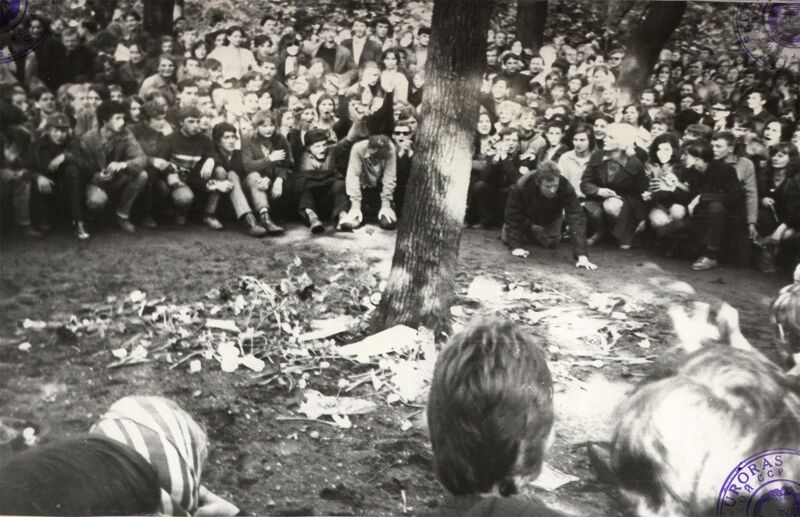 Like Jan Palach, Jan Zajic and Evzen Plocek in Czechoslovakia, Romas Kalanta, a university student in Kaunas, set fire to himself on May 14, 1972. Kalanta was protesting the Communist regime and the occupation of Lithuania. His last words were, “Freedom for Lithuania!” His death created new protests, and several thousand youths and workers marched in demonstrations on May 18 and 19. The government ordered the crowd to be dispersed and a repeat of such events to be prevented. But the demonstrators struggled and fought with the militia. More than 400 people were arrested, of whom 50 were given administrative penalties. Ten of the demonstrators were tried and and eight were sentenced to one to three years in prison. The demonstrations proved that the Lithuanian people wished for freedom and independence. Romas Kalanta. A vocational student in Kaunas, Lithuania, who set fire to himself on May 14, 1972. Kalanta was protesting the Communist regime and the occupation of Lithuania. 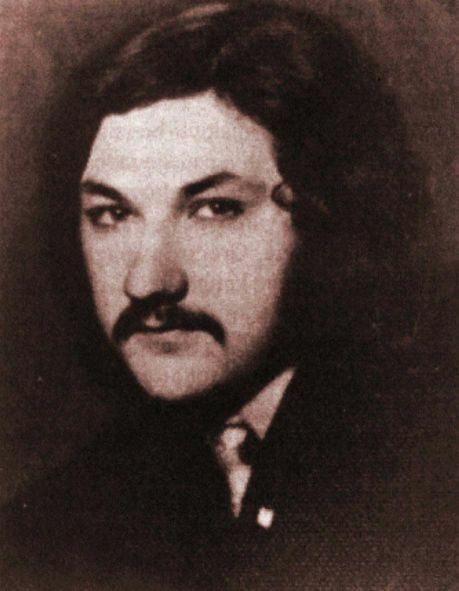 Photo: Romas Kalanta in 1971-1972. Lithuanian Genocide and Resistance Research Center, Museum of Genocide Victims collection, R-P 355. 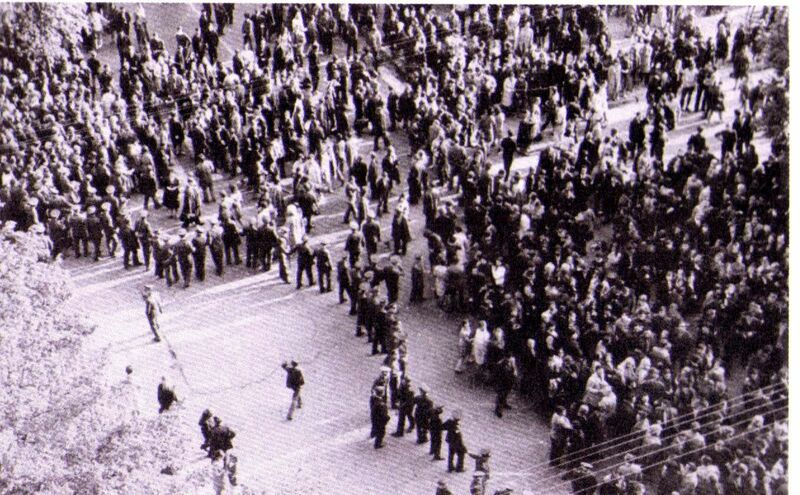 Demonstration in Kaunas on May 18, 1972, in response to the self-immolation of vocational student Romas Kalanta. Lithuanian Special Archives- K-1-58-47644/3-1, p. 63. 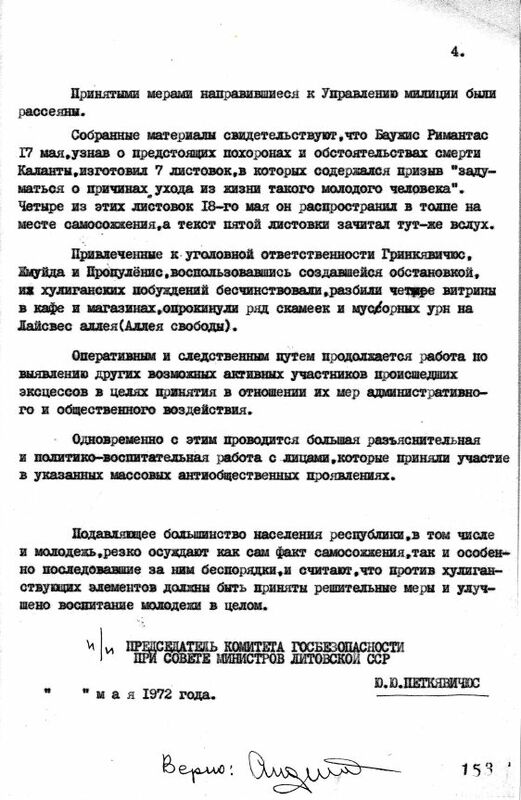 The August 9, 1968, announcement by G. Vaigauskas, director of the Kaunas section of the State Security Committee (KGB) of the Lithuanian SSR, regarding the citizens' attitude in response to the events in Czechoslovakia in 1968, the meeting in Čierna nad Tisou between the leaders of the USSR and the ČSSR, and the conference of Warsaw Pact country leaders in Bratislava. 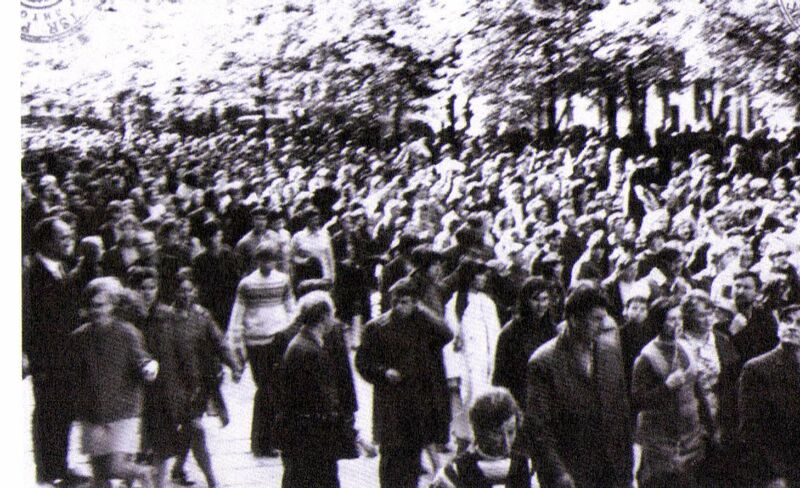 The announcement stresses that a large part of society has expressed concern that the events in Czechoslovakia could weaken the socialist system and provoke an armed conflict. Many city-dwellers are unsatisfied that the mass media provides little information about the events in Czechoslovakia. At the same time, some individuals have also expressed support for Czechoslovakia's leaders and, having been influenced by the events in Czechoslovakia, are ready to fight (including an armed conflict) for Lithuania's secession from the USSR. Lithuanian Special Archives, K-1-14-145, pp. 22- 30. 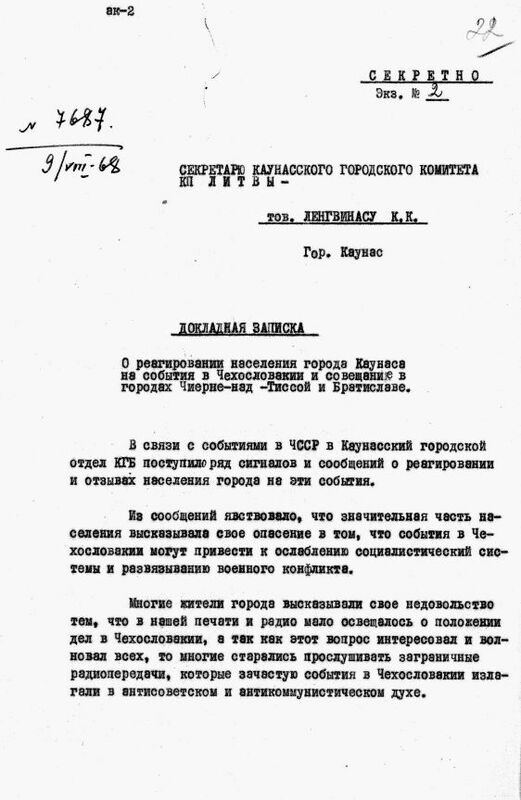 The notice from J. Petkjavičius, the director of the KGB of the Lithuanian SSR, regarding the investigation of the demonstrations in Kaunas on May 18 and 19, 1972. The notice states that criminal cases have been brought against several of the demonstration's organizers and active participants. Around 500 youths gathered on May 18, 1972, at the house of Romas Kalanta, the student who died of self-immolation while protesting the ruling regime. The youths had wanted to take part in Kalanta's funeral and burial, but the authorities intentionally changed the time of the funeral, which infuriated the youths. 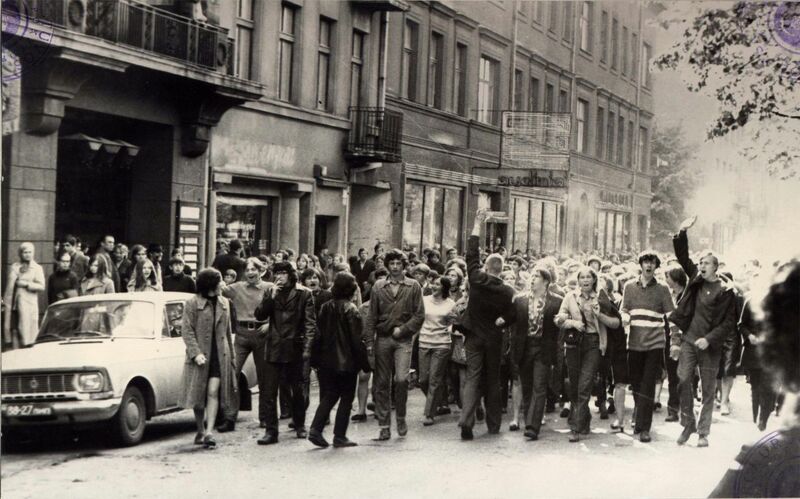 A spontaneous demonstration erupted on the streets of Kaunas, with youths shouting “Freedom for Lithuania!”, “Freedom for Young People!”, and “Freedom for Hippies!” The group headed to the offices of the Kaunas military police, but were stopped there by chains set out by the police. Based on interrogations of eyewitnesses, the KGB pronounced Romas Kalanta mentally ill in order to conceal the political reasons for his self-immolation. Lithuanian Special Archives K-1-3-793, pp.150-153. The appeal read by Vytautas Kalade, a participant of the May 18, 1972, demonstration in Kaunas, which was provoked by the death of Romas Kalanta. The appeal states that Kalanta died for freedom and calls for people to join the demonstration in remembrance of Kalanta. Lithuanian Special Archives K-1-58-47644/3-2, p.220-1. Lithuanian Special Archives K-1-58-47644/3-1, pp.80, 85. 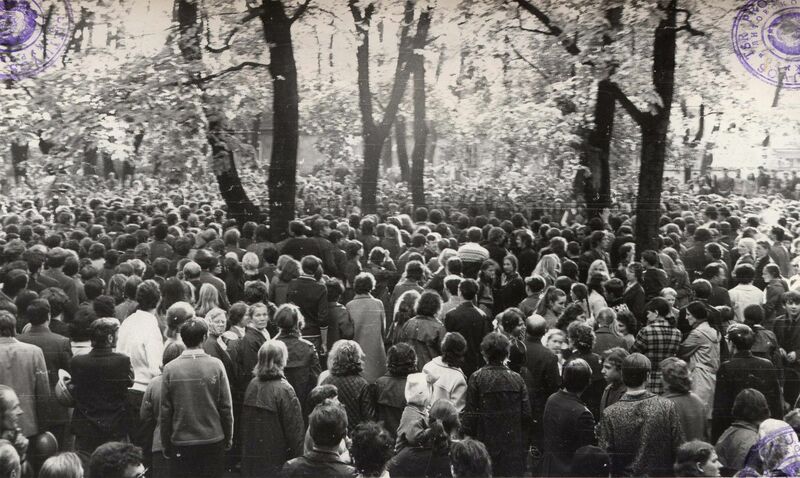 Demonstrators at Musical Theater Park in Kaunas on May 18, 1972, at the site of Romas Kalanta's self-immolation. 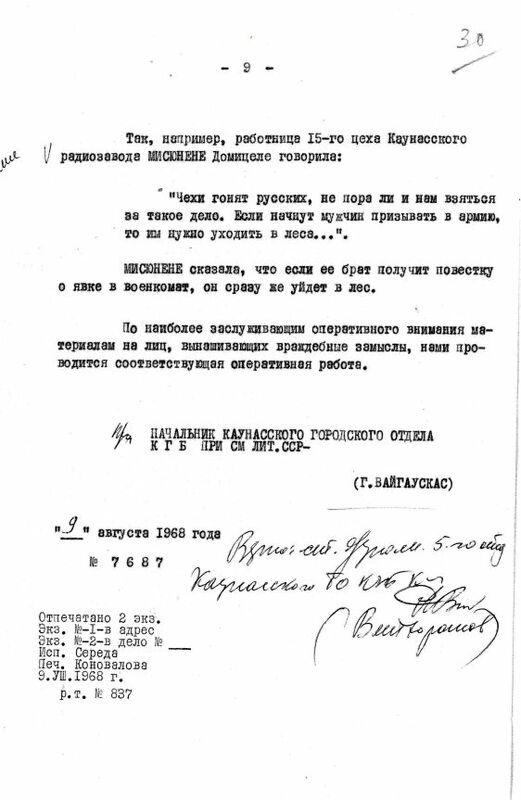 Lithuanian Special Archives K-1-58-47644/3-1, pp.72, 82. 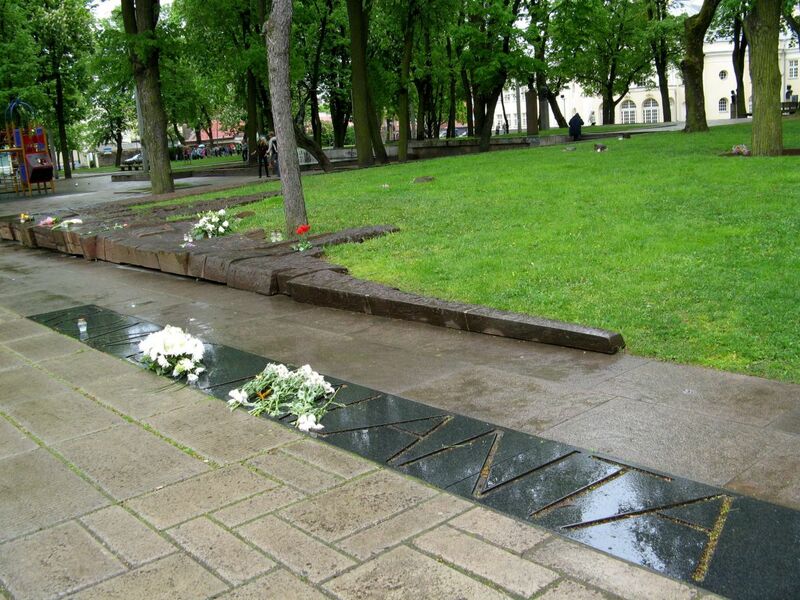 Memorial site in Kaunas' Musical Theater Park in memory of Romas Kalanta, who set fire to himself on May 14, 1972, in protest of the policies of the Communist regime in Lithuania. Photographed on May 16, 2007, by Vilma Juozevičiūte. 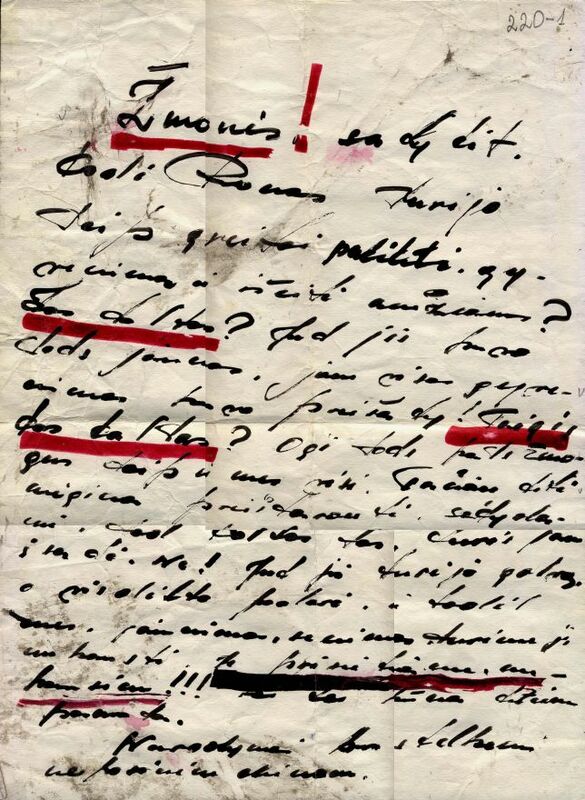 V. Juozevičiūte's personal archive.